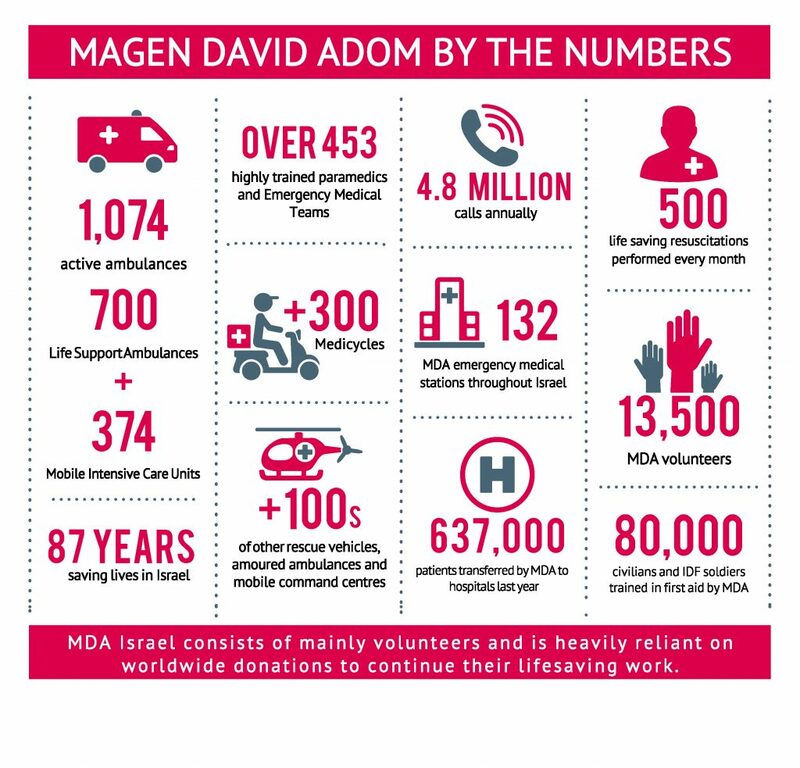 Over the past years, Magen David Adom supporters in Australia have donated over 15 ambulances 30 medicycles and vital life-saving equipment, all of which are critical to saving lives every day. Magen David Adom does not discriminate based on religion, background or ethnicity. We focus on one thing and one thing alone- Saving Lives. Our mission is to support the life-saving services provided by MDA Israel through fundraising activities and awareness programmes. Magen David Adom in Israel has faithfully served the country’s population for many decades by adhering to principles which derive from the sublime value of “saving a single soul of Israel”. These include providing first aid and emergency medicine, offering training activities and other professional services to the public at large and the medical system, collecting blood donations and supplying them to hospitals and undertaking humanitarian activities for the community.